New World War: Is the Patriot Movement Controlled Opposition? Years ago I suspected that the independent media was influenced by the financial elite. After watching these organizations avoid & minimize this issue for nearly a decade, it has become abundantly obvious to me that these media groups are controlled. It appears that some of them are being used to limit the information that reaches the portion of public that is waking up. What follows are some observations & questions about this. The entire foundation of society is undergoing an incredible change that is effecting the military, civil institutions, families, culture, value systems, & technology. A tremendous restructuring of the military is now underway in regard to technology, organization, strategy, tactics, training, ideology, & logistics. A military revolution of this enormity only happens rarely. This one is the biggest in our planet's history. 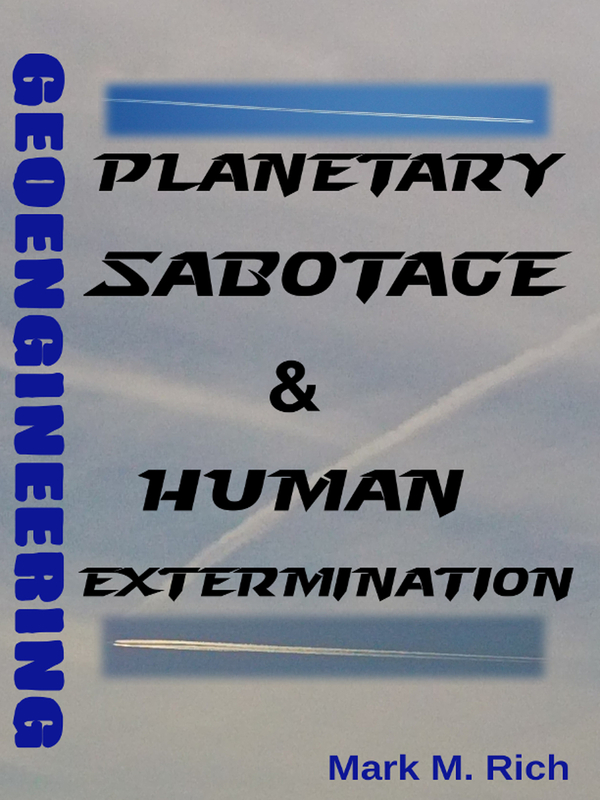 It is being steered by a small group of wealthy psychopaths who have formed humanitarian fronts to further their objective of enslaving the planet. These include the Council on Foreign Relations (CFR), Bilderberg Group, Trilateral Commission, Royal Institute of International Affairs (RIIA), & a multitude of large tax-exempt foundations, all of which work in unison toward their goal. They are almost finished conquering nations. Now they are after individuals. 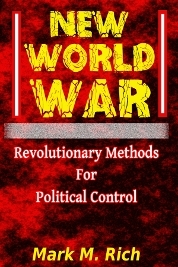 This new war-form signifies a transition from the traditional state-to-state version, to one that is designed to hunt down & neutralize potential individual resisters in your towns, using weapons & tactics that are nearly traceless. If people knew what this was about they would vehemently refuse it. For this reason it needed to be done in secrecy & further hidden under the banner of nonlethality. 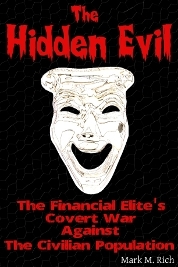 So far the financial elite have successfully used their media, elected officials, NGOs, & medical system to conceal it. This includes the widespread use of completely fake mental disorders such as schizophrenia & bipolar disorder. Most unfortunately, it seems that this coverup extends to the patriot/truth movement. Discussions of martial law & UN troops invading the streets can often be heard on truth radio & seen on blogs. However, they have already seized your cities. They did not use UN troops to do this. Instead they are using your neighbors & coworkers, your friends & family, who have been recruited as warfighters in a silent war. This civil-military force has existed in the US for decades. It is now global. Many of these patriots read government/military reports & cover emerging issues that the public is not aware of. They are often experts in history & military affairs. Some allegedly have access to sensitive information because of their connections to the intelligence field. How did they miss something of this magnitude? Have they been ignoring requests to cover this from their listeners? How would their listeners react if they were told that their cities have been entirely seized by a civil-military force? What kind of impact would it have if their audiences were informed that civilians have been recruited as warfighters? Why are they not alerting their audiences to the existence of a program that is intended to neutralize the very people they claim to represent? Just like any other military campaign this should have ongoing coverage. They have reported more obvious control features of the system, but minimized or ignored this. I have given them a chance for almost 9 years. Now I realize they have been suppressing this information. In my opinion there is no way—absolutely no way—that they are not completely aware of this. I have determined that they are actively covering-up a mechanism of the system that exists to silently destroy resisters. The suppression of this issue by the independent media tells me two things. First, the extent of control that has been established over it. Next, how critical this issue is to the financial elite. They understand from previous dictatorships that they must use citizens to control the streets. If they lose control of the streets they are in serious trouble! To give you an idea of how vital the coverup of this mechanism is to them, Alex Jones of the Genesis Communications Network, the unofficial leader of the truth movement, has publicly denounced it. According to him, most people who claim to be attacked are suffering from schizophrenia. However, it is not just the high-profile leaders who are concealing this. There is another group, that, while not officially part of this movement, could be considered an outer circle of it. It consists of authors, filmmakers, podcasters, bloggers, & political figures. These are all people & organizations that you think would be the first to adequately cover this. Yet they have downplayed or ignored it. How Extensive is Their Control Over the Independent Media? At first I thought they just didn't know about it. I figured that after enough people contacted them & they confirmed its existence, then it would be regularly discussed on talkradio. I thought it would be seen everywhere on truth websites, & perhaps some documentaries. But that did not happen. Myself & others have provided evidence that the financial elite have established control over education & the popular media. Would they not also be particularly interested in restraining the radio stations that their primary enemies are using to expose them? My personal experience with the independent media has been mostly negative. When I first realized I was under attack I sent messages to some organizations with the information I had at the time. Most did not reply. Later when I started to write, I contacted people for peer reviews who are directly or indirectly connected to this movement. I received very few responses. I also sent hardcopies of a book to some independent media & requested book reviews from groups that serve independent authors. One replied & gave a positive review. Although some of this could be explained by communications interference, I don't think all of it can. Just as there are various phases of legitimacy to the mass media with its array of gatekeepers, some of these independent media outlets appear to be simply another deception. Although they do provide truthful information, they are ultimately used for the same purpose, which is to suppress information. This is big. It is surely bigger than 911. 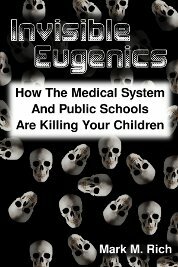 Possibly it is greater than their active global eugenics program. With few exceptions, the independent media seems mostly uninterested. In my opinion, the comprehensive suppression of an issue this large, across a wide range of independent media for an extended period, is a potent signal that these media groups are controlled. About a decade ago I realized that I was targeted, although this has probably been going on for much longer. I am under constant surveillance. All of my communications are monitored & tampered with. I have been isolated from my friends & family who are being electronically handled when I'm around. I am attacked with directed-energy weapons & relentlessly persecuted by a colossal network of citizens that people pretend doesn't exist. Although I've worked on farms, I've received no employment pay since 2004. Since then I have been in various stages of financial ruin. I have been homeless since October of 2011. Status updates which detail these attacks can be seen on my website. It has been communicated to me on various occasions that I can continue my work in some capacity, under their control. I suspect this is an attempt to limit the information I am releasing. They have been trying to beat me into submission while I've been putting this together. I get the impression that they wanted me handled before I figured it out, because they knew my conclusion would be inconsistent with the sanitized version that the TI leaders are promoting. Perhaps my reaction to this mechanism of the system is uncommon, maybe even rare. I think that the level of pain that I've endured would have psychologically destroyed most people. How I was able to do this will be explained in a future biography. I think these people encountered this faction of the system & submitted. Now they are under its control. While some leaders in the TI & truth movement were terrorized & tortured into submission, others probably complied at an early stage. Why Are They Not Attacked? This mechanism of the system was designed to quietly neutralize people such as themselves with little trace. Yet they are simply allowed to do as they please? They are releasing documentaries & books with no trouble, giving speeches, & making appearances on mass media. At the same time they are oblivious to this &/or deny that it exists. I find this amazing. Have they been placed under 24/7 surveillance & electronically isolated from their peers, friends, & family? Why are their radio shows allowed to air with little communications disruption? Are their studios being broken into? What about financial destruction? Why are their businesses able to continue without difficulty? Why are their books & films not being continually sabotaged? How are they releasing this material with hardly any trouble? Are they targeted for Psychological Operations (PsyOp)? What about Computer Network Operations (CNO)? Are they having frequent trouble with their servers & PCs? Are they being swarmed in public? Are they getting attacked with Directed-Energy Weapons (DEW)? I do not wish for these people to be attacked. However, these are the weapons & tactics used against the new enemy. Most of these are described in government/military documentation. If they are truly a threat to the NWO they would be considered primary targets. Some may say that they are not attacked because of their high profile & access to a wide audience. I once believed that. Now I don't. After years of study & direct experience I've determined that this part of the system is completely functional. Anyone on their way to achieve such exposure will be identified by it. Why are these people not being attacked? And why are they ignoring this issue, minimizing it, or completely denying it? You might think I'm separating myself from potential allies by asking these questions. That is not correct. I'm just highlighting a division that is already there. I have waited long enough. It is perfectly clear to me that these high-profile groups & people are controlled opposition. How Else Are They Used? If this level of control has truly been established over the leaders in the independent media & truth movement, how else could they be used? Interestingly, the military uses civilian communicators to transmit PsyOp messages to a TA. These phrases, which are designed to be immediately recognized by the TA, are stealthily blended into announcements during speeches, rallies, lectures, & talkshows. Is it possible that these broadcasters & their callers are being directed to utter certain phrases during live broadcasts to attack specific members of the audience? Surely they are reporting some shocking information. However, if they are under the system's control, what else are they hiding? What about a fake revolution that is designed to falter? I would be very skeptical of any plan offered by these leaders to stop this tyranny. Any plan that does not consider the communications & weapons, as well as the civilian troops under the financial elite's control, will fail. In my book I provide a theory of a wireless Human-Computer Intelligence Network (HCIN) featuring artificial intelligence (AI) that includes sensors, a distributed directed-energy weapons platform, & remote mind-reading capabilities. It transmits real-time attack instructions into individual human brains, guides swarms, & directs human nodes that interact with the TA. I'm certain that such a wireless C4ISR system exists. It has been under development in some form since the mid 1970s by the RAND & MITRE Corporations, Sandia National Laboratories, Defense Advanced Research Projects Agency (DARPA), & a variety of universities. Is it possible that some of these leaders are electronically handled? They might also be used to overtly or covertly attack those such as myself who are not under the system's control. Deanna Spingola, a Republic Broadcasting Network host, was used for this purpose on June 04 of this year. Because I was lied to regarding the topic of discussion, much of the preparation I did before the show was useless. Presumably, this was done to make me seem incompetent. The deception was followed-up with a variety of verbal barbs & other petty tactics on the show, which appear to have been intended to portray me as a fool, waste my time, & obstruct my message. I'm guessing this will be regular procedure on truth radio. I can expect vicious attacks from these individuals & groups. The financial elite know that their politicians, NGOs, media, & mental health system can no longer provide cover for this. They also realize that the independent media must cover it in order to retain credibility. So, the TI leaders may increasingly appear on these talkshows, working with handled hosts to provide damage control. I have some ideas about how they'll be conducting this phase of the coverup, which I will describe in a future report. I have good reason to believe that this truth movement is thoroughly infected. I would not be surprised to learn that all of the high-profile members are handled. These patriot leaders are symbolic of freedom & righteousness. At one time I considered some of them to be my teachers. I looked up to them. There are still certainly some brave individuals in this movement who are putting themselves at risk by exposing the system. However, if they are unwilling to acknowledge this hidden mechanism of terror, it reveals how effective it really is. The citizens are the last defense against tyranny. From what I understand, the patriot/truth movement was their leading faction. If its leadership has been compromised then we are in peril. I am unaware of any other organization that is truly going to stop this. Some say there is a real truth movement. That might be so. If others are developing a realistic plan to deal with this, based on an accurate understanding of the situation, then I'd be interested in working with them. However, that may not happen. They are taking no chances with me. There is much I'll be doing on my own, however, where I know I'm making a difference. So far this has included public announcements & holding signs in the streets. In the future I may conduct my own podcast & produce a documentary. For now I will be perfectly content to write books & articles.